Condensation that forms on the outside of air conditioning ductwork is a common problem in many homes. The moisture develops in areas of the home that are typically not cooled but that have ducts in them, such as attics and basements. The problem is particularly prevalent in basements because they often have higher humidity levels. However, by making some modifications you can stop the moisture while still maintaining a cool home environment. Condensation droplets sometimes form on metal ductwork. Raise the temperature on the thermostat by 5 degrees. This raises the external temperature for the ducts thus decreasing the development of moisture. If desired, you can increase the thermostat slowly 1 degree at a time and stop when the moisture disappears. 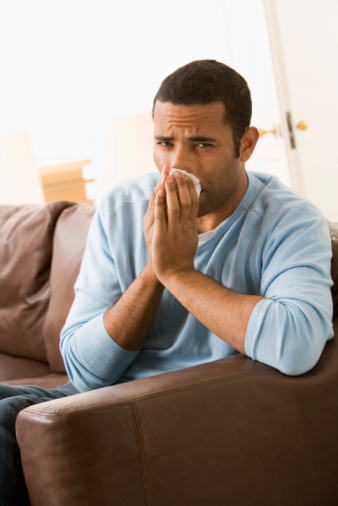 Check any air vents in the basement and ensure that they are full open. In addition, leave any doors to the upstairs open, if possible and safe, to allow the basement to adjust to the same temperature as the remainder of the home. 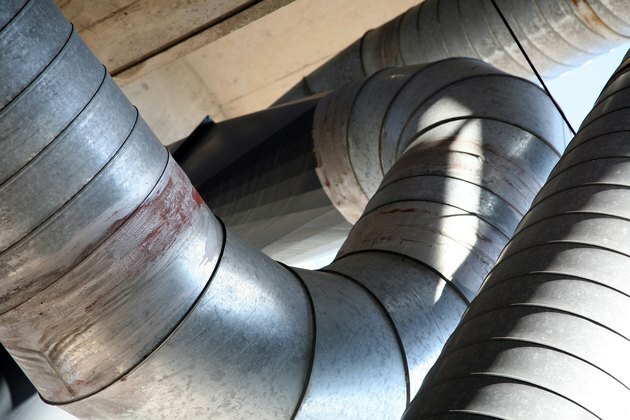 Install insulating duct wrap around all metal ducts to help insulate them from the basement temperature. Duct wrap has a foil outer layer and a foam insulation inner layer. Simply wrap it around the duct and secure with duct tape along the seams. Cut off the excess wrap with a utility knife. Place a dehumidifier in the basement and plug it in. Turn the machine on and allow it to run constantly until no more moisture is detected on the ductwork. Check the water tank inside the dehumidifier at least once per hour and empty it when needed. 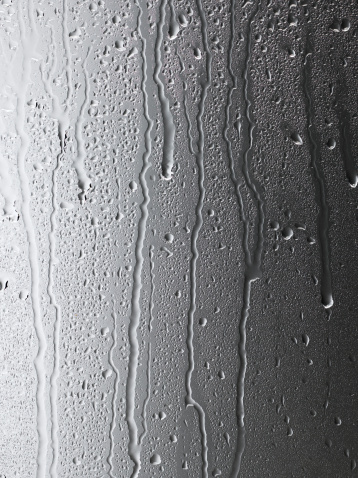 Once condensation disappears, you can set the dehumidifier to run less often.